WE MAKE TAKING IT EASY…EASY! 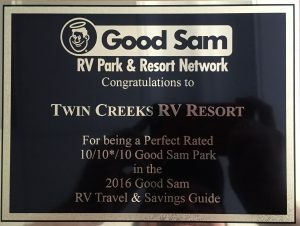 While you vacation at Twin Creek RV Resort you and your family can enjoy our large heated pools. We also have a hot tub for adult use only. Your kids can visit our video game zone and playground area as well. Be sure to check out “Mary’s Casual Wear Boutique and Accessories” during your stay!